A rare example of an ungentrified local in the affluent Royal Borough of Windsor has become the 50th co-operative pub in the UK. 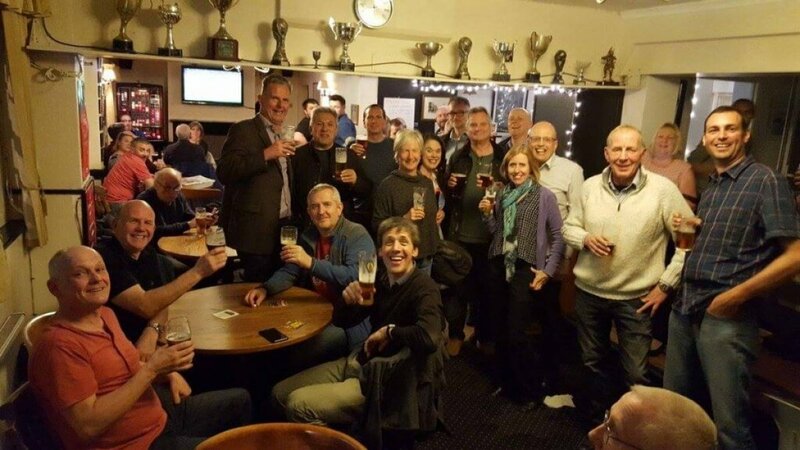 On 26 June 2017, the Craufurd Arms in Maidenhead, a pub known for its good beer, darts teams, and sports TV, was bought by a community benefit society of 226 members. The residents of this densely populated part of Theresa May’s constituency had become alarmed in recent years by the closure and redevelopment of local pubs. In 2015 they succeeded in having the Craufurd Arms listed as an Asset of Community Value. So in August 2016 when the owner, the Wellington Pub Company, announced that it wished to dispose of the property, local people acted quickly. They formed an action group, conducted a local survey and decided to set up a community benefit society to buy the pub. The group received specialist advice and finance from the More Than A Pub programme, which was set up in 2016 to support community ownership of pubs in England. This two-year programme is funded by the Department for Communities and Local Government and Power to Change, and is delivered by the Plunkett Foundation. Co-operative & Community Finance arranges loan finance for groups that have successfully attracted local investment, usually in the form of community shares. The community share issue for the Craufurd Arms opened in February 2017 and soon raised £310,000 from 226 people investing sums between £250 and £25,000. With the grant from More Than A Pub, and the loan from Co-operative & Community Finance, this was enough to proceed with the purchase of the pub. The transfer of ownership was accomplished without any interruption to the business of serving customers. The child-friendly, dog-friendly pub has two crib teams and two darts teams and shows a wide range of sports on TV. It also hosts regular quiz nights and live music gigs. There are ambitious plans to develop the Craufurd Arms into a community hub with services and facilities beyond the traditional role of a local pub. These include working with local charities and groups, for example working with the Autism Group to provide an after school club for young adults on the autistic spectrum. There will be a ‘Grand Opening Weekend’ to celebrate the new community ownership from Friday 21st to Sunday 23rd July during the Maidenhead Festival.